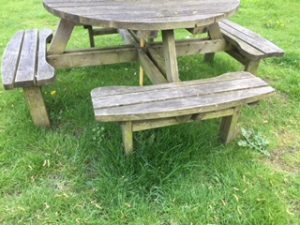 Ever wondered why grass thrives under benches and trampolines? The answer is a phenomenon known as etiolation. The stems elongate more rapidly in their search for light; the stem is thinner and more pale in comparison to healthy grass due to the lack of chlorophyll. PrevPreviousThe coldest March…since records began?